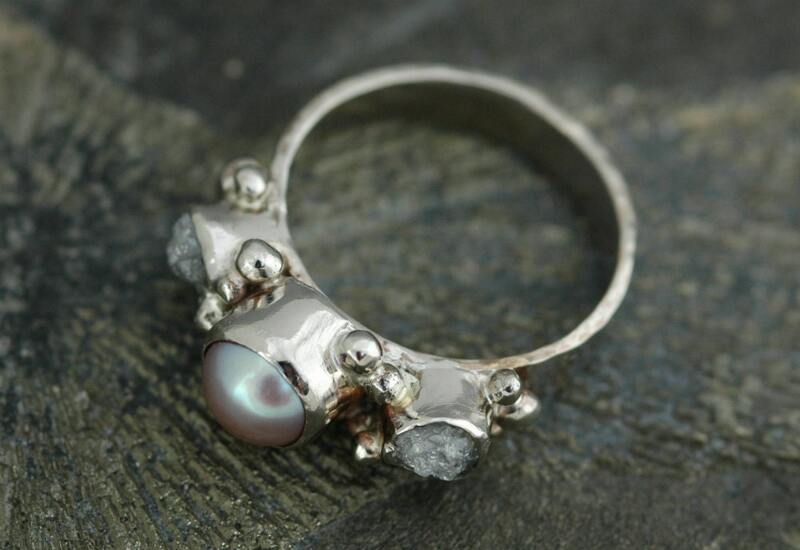 This is a custom, made-to-order ring. The ring shown in the photos has been sold. I have used the photos to give you an idea of how your ring could appear. The final two photos show the ring with the 'hers' and 'his' wedding bands that can be made to go with the set. 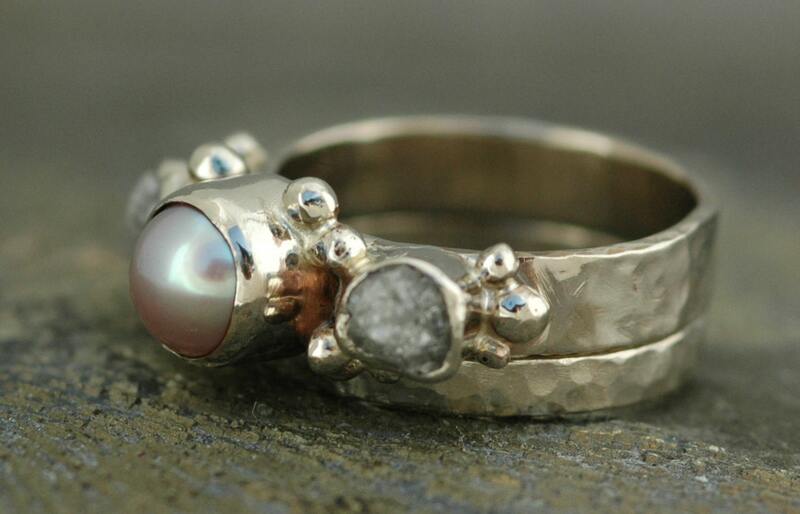 This listing is just for the 'hers' engagement ring, with the diamond and pearl. 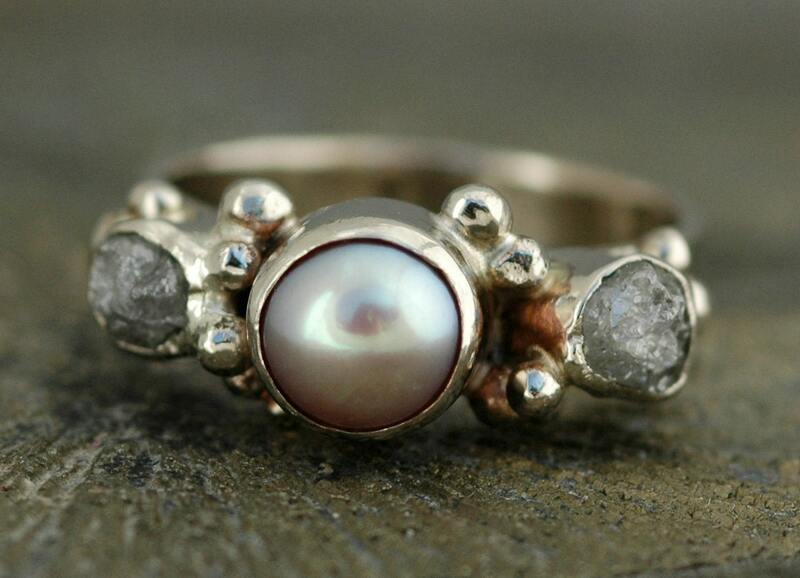 This ring is built of 14k gold. 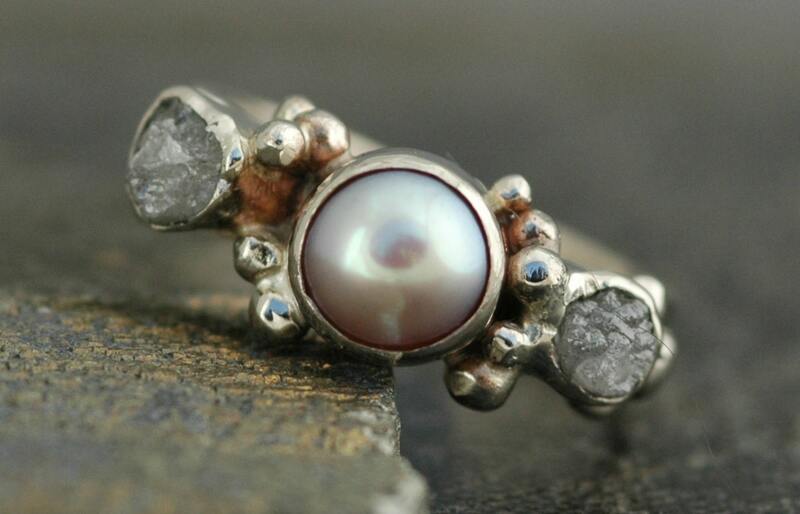 I have used a naturally-coloured freshwater pearl, which is flanked by two little rough diamonds. The pearl is freshwater, around 6mm. The diamonds are conflict-free, and are in their raw, natural state. They are around the 3.5-4mm range. Other colour choices include white, copper, or peach-pink pearls (all of which are naturally coloured) and darker silver diamonds. The band is constructed of 14k gold, and is 4mm across. 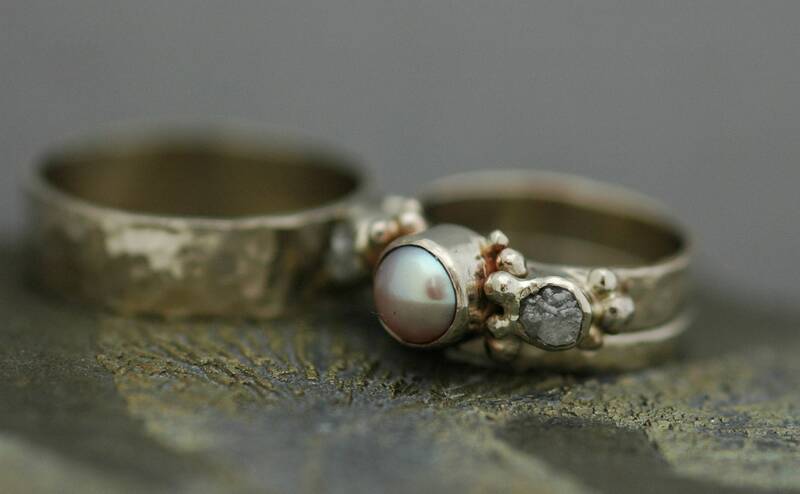 The bezels are accented with gold granulation- this is a metalsmithing technique which involves creating tiny metal orbs. The ring can be given any finish you see in my shop, including high shine, matte lustre, pinbrushed, or hammered. The rings shown in the listing have a hammered finish, but you may also request high shine, matte lustre, or any other texture you see in my shop. Also, the rings can be made in yellow or white gold. The ones you see here are white gold. This listing is for a single ring only- the hammered plain gold bands are not included in the listing. Please see my shop announcement for my current production time.